Once you start collecting computers, it's hard to stop! Some people only care about the latest technology. For others, collecting the significant computers of the past — whether it’s an iconic first-gen Macintosh or iPhone, or failures like Apple’s short-lived Pippin games console — is fun in its own right. If you fall in to this second group, you’ll love these five computer collecting tips to get the most out of your hobby. They will help you turn your passion for vintage Macs into an eye-catching computer collection. David Greelish with the one and only Steve Wozniak. Over decades of collecting, computer historian and super-collector David Greelish claims to have owned every significant American-made personal computer. He got hooked on Macs in 1989. Since then, he’s bought as many Apple computers as possible. At present, he’s restoring an Apple Lisa. One of the company’s most notorious flops, the Lisa paved the way for the Mac. This might sound like the most obvious point possible. 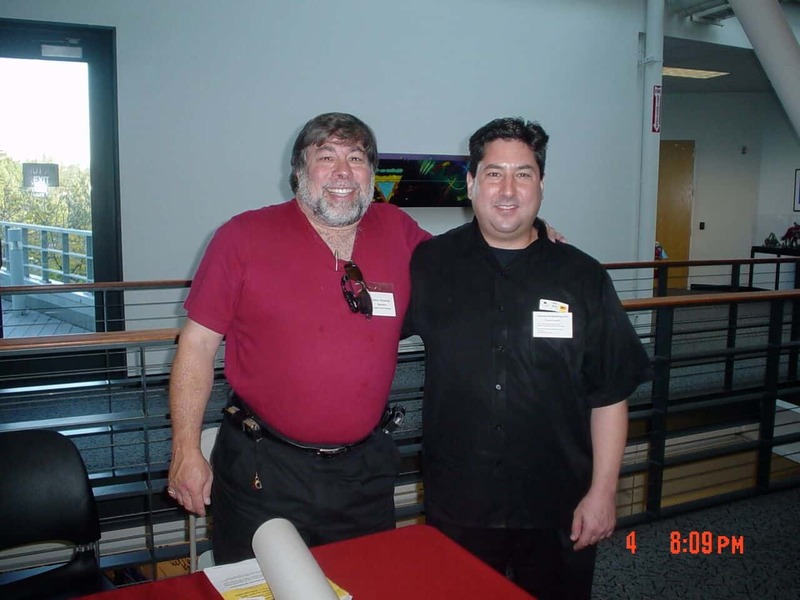 However, whenever I speak with computer collectors, I find it’s a mistake many people make. If you’re looking to grow one or two machines into a collection, work out what exactly you want to focus on as your stable of vintage computers grows. Apple has released hundreds of computers and other devices over its 40-plus year history, after all. And that doesn’t even begin to scratch the surface of all the vintage Apple paraphernalia you can use to bolster your mini museum. Add in authorized and unauthorized peripherals, and you’re talking about thousands of products. Factor in magazines, books and related machines like the NeXT Computer and Pixar Imaging Computer (released by Steve Jobs during his wilderness years outside Apple), and things become even more unwieldy. If you want a cohesive collection, a better approach is to pick an era, a design language (like Apple’s Snow White computers), top-selling products or a single product line and start acquiring pieces from there. In my experience, a deep collection proves more rewarding than a broad one. 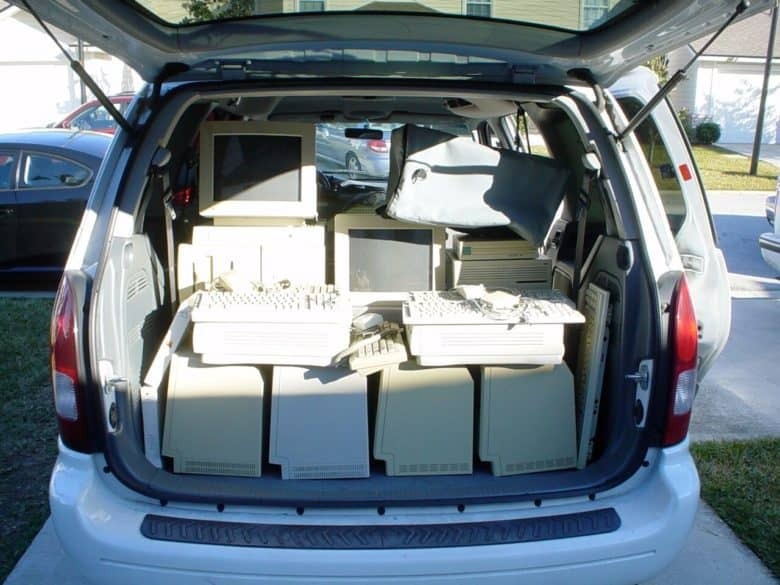 You should probably think about where you’re going to store your computers, too. If you were buying a new iPhone or Mac, you’d probably check a few different websites to find the cheapest price. The same is true if you’re buying old tech. Greelish suggests starting on eBay to gauge prices. “It’s an excellent teacher and reflects real-world values and rarity,” he says. However, look at completed “sold” sale prices rather than just going by listing prices. When you do this, make sure you sort by “lowest to highest” prices to see what kind of bargains people have gotten. Don’t just stick to eBay, though. 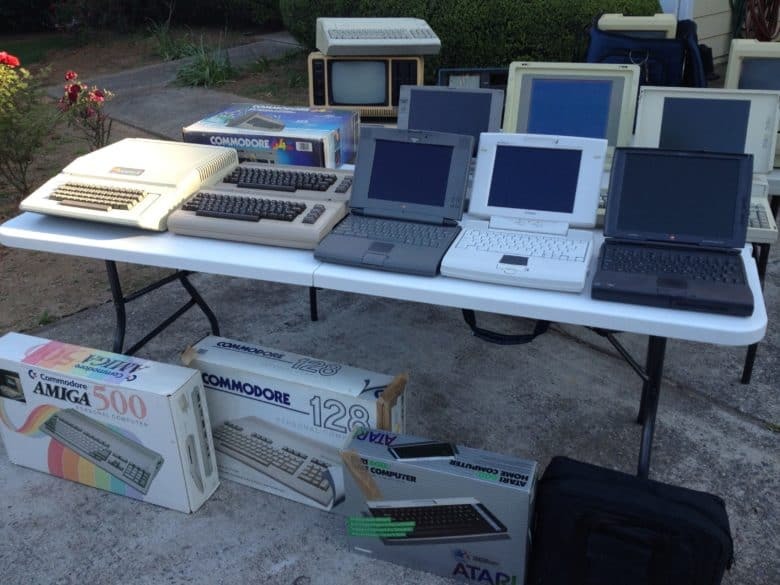 “If there is any kind of vintage computer club in your area, then that can be a bargain place to trade or buy,” Greelish says. He also suggests that ham radio events, vintage computer festivals, flea markets, thrift stores and estate sales can be good places to find items you’re hunting for. It might sound like a no-brainer. But, whether you’re collecting computers as a potential investment or just for displaying in your home, condition matters. It’s also worth doing your homework in advance to identify any machine-specific common faults to watch out for. For example, Apple’s ill-fated (but awesome) Power Mac G4 Cube suffered a design flaw causing tiny cracks to appear in the clear plastic casing on many units. That’s a cosmetic issue, rather than a functional one. However, it’s exactly the kind of thing you’ll want to check up on before handing over your cash. 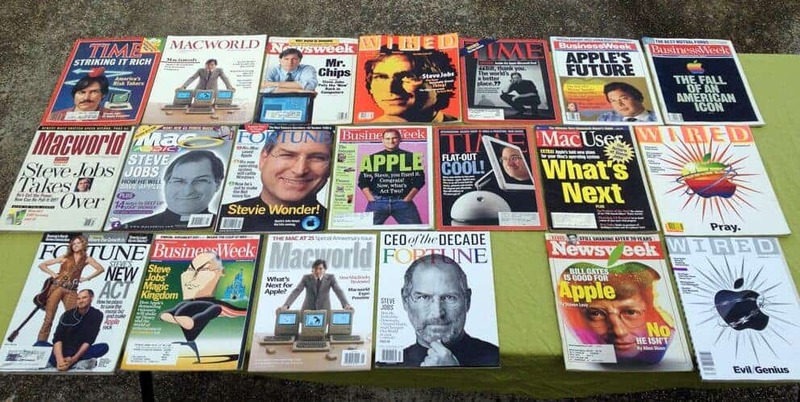 Start collecting Apple-related magazines and your collection will never end! Part of the joy of collecting is displaying your collection to maximum effect. Your choice of display unit will depend on your available space and money. Nonetheless, these helpful pointers can make sure your collection remains at its best. Our final suggestion is essential advice for any computer collector. It’s easy to read articles about the massive increase in value of the Apple-1 and think that overextending yourself for an investment is worthwhile. Don’t do it. Everyone dreams of having a computer collection that suddenly shoots up in value. A more realistic ambition is to not lose money on a collection by overpaying. You can still find low-price deals, too. At present, Greelish says the Apple II Plus, Apple IIe, Apple IIc and Apple Newton line are all steadily increasing in value. So keep tabs on your collection — and your fingers crossed!